In this simple story, a grown-up cat tries to get the little bear to go to sleep,but the little bear wants to delay bedtime just a little bit longer. Surprise, surprise. The sing-song feel of the text isn't a straight rhyme scheme, but uses rhyming words and a gentle rhythm. The beautiful watercolors are dreamy. One thing I particularly like about the book is the characters: a cat and bear, both of indeterminate gender. It could be a mother and son, father and daughter, aunt and niece, etc. The two characters from different species also leaves it open as an adoption story, perhaps of a child of a different race. In any case, it's a lovely bedtime book to be shared with a special little bear of one's own. Generally I'm not a big fan of bedtime books where the child keeps getting out of bed or otherwise disrupting bedtime. They tend to make me feel more like the child needs more limits and parental authority. 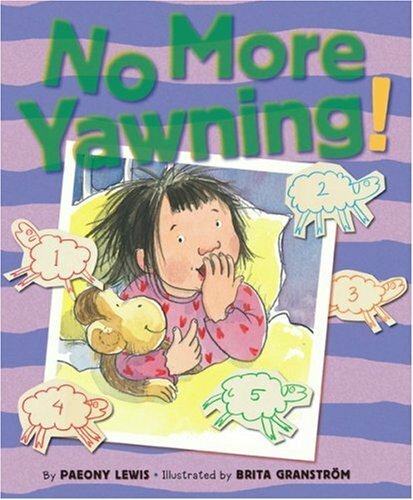 But this book includes yawning, and having yawning in a bedtime book is pure genius, because as the parent reads the book with the yawns, the child starts yawning and is soon ready for bed. In fact, it makes it a little confusing that the mother keeps telling the little girl, "No more yawning," even though it is paired with all the other instructions like "No more kissing" or "No more singing" or "No more stories." Yawn away, I say. Cute book and nice, soft watercolor illlustrations. Oh and good tips on falling asleep are included in the back. In this tale, the father is putting his kid to bed, but just wants to get through the bedtime stories as quickly as possible. The stories are all the classics, just shorter. Much, much shorter. And generally with a theme of going to sleep at the end of each one. A great book for parents. 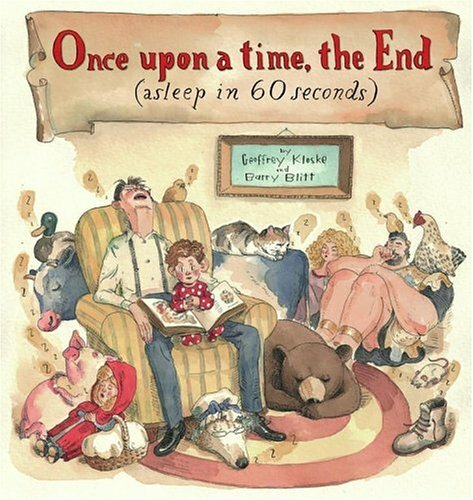 Oh, and for kids too, but particularly ones that are old enough to get the references to the classic stories and the overarching tongue-in-cheek theme that "enough already, bedtime is NOW." 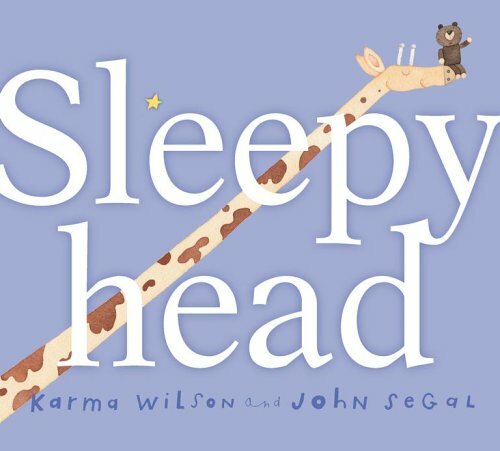 I always loved bedtime books when I was little, especially the more rhythmic ones where the words feel like rocking. I'll have to take a look at these other ones!